Spread the whitening gel onto the molds, preferably closest to where the front of your teeth will be. Put the molds on your teeth and wait 20 minutes. After twenty minutes, run to the sink and rinse your mouth out. Rinse the molds of any leftover whitening gunk. Wait ten minutes while your poor gums calm down. Go stare in the mirror every 30 seconds to see if your teeth look whiter yet. Repeat 4 times for a total of two hours. I’ve yearned for a trip to a Bliss spa ever since I learned of their existence, but I unfortunately haven’t made it there yet. Luckily, Bliss creates at-home goodies like this one to keep me entertained while I wait. The Triple Oxygen Instant Energizing Mask looks and feels more like a facial cleanser than a mask; it comes out of the pump-top bottle as a gel-like substance, but quickly turns into a frothy foam once applied. I left the mask on for five minutes as instructed, and swiftly noticed the froth disappearing. I thought perhaps the product was drifting down my face, but soon realized that the mask was actually dissolving, which really pleased me – I love to watch products actually do something. Before BeneFit They’re Real, there was Too Faced Lash Injection. Touted as the original end-all be-all falsies in a tube, all the hype surrounding Too Faced Lash Injection Extreme Volume Mascara led me to finally join the club and pick it up. So are the raves we heard true? Well, that depends on what you’re looking for. Read on! packaging: 2.5/5 – The tube itself is a standard-issue mascara tube – what’s interesting is the applicator brush. The brush is huge, widthwise. It’s a fluffy conventional (non-plastic) brush style, but the stiffer bristles seem to help tame my wily lashes somewhat. Since I liked Biore’s ice cleanser so much, I thought I’d give these little self-heating masks a shot. I love facial masks, and I double-love products that heat up when you use them! The packaging is very convenient; each mask comes in an individual tube that’s easy to get open and has a nicely sized opening to ensure it doesn’t explode out on your hand. The smell was nice, but not intense; the heating effect was almost instant and felt REALLY good and warm. My favorite thing: although the mask had exfoliant beads, the mask didn’t leave a bunch of them everywhere on my skin. I’ve always wondered if these companies secretly include giant unbreakable exfoliant beads so that you basically have to scrub and tone the crap out of your skin, making you look “fresher” (i.e. minus the top layer of skin) and thus you think the product works better. I’m skeptical that way. 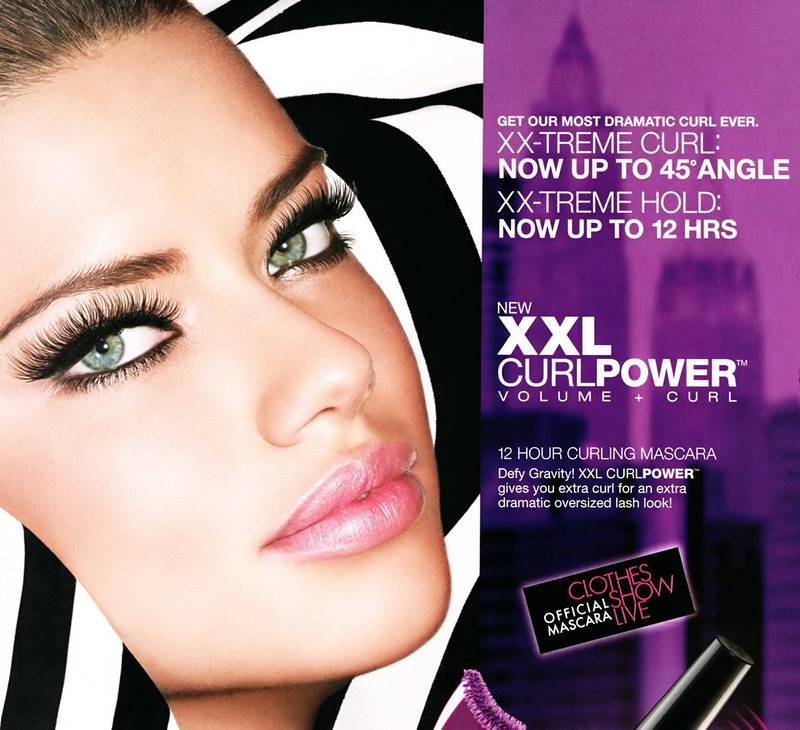 I got a Maybelline coupon from CVS, so I decided to try out the XXL Curl Power mascara. It’s one of those double-sided numbers: one end is used to prime the lashes, and the other is your typical mascara. I have a theory that mascaras with the white primer for “volume” are psychological: you coat your lashes in white color, and then must continue to apply mascara until all the white is covered so you don’t look like Ziggy Stardust. Then, because you’ve put in more than your usual lazy one-coat effort, voila! Your lashes are more voluminous. Unfortunately for Maybelline, I normally apply about twelve coats, so I’m onto their game.